Charlestowne Grant is a very exclusive section of Litchfield Beach, just north of Pawleys Island, and behind the private gates of Litchfield By the Sea resort. The homes are very large estate type homes, usually in the Charleston or Lowcountry style. Most homes have views of the ocean or marsh. 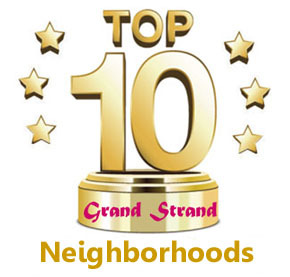 Homeowners in Charlestowne Grant enjoy all of the great amenities Litchfield By the Sea has to offer, including pools, tennis courts, private and exclusive beach access, a fitness facility, walking and bike trails, and much more. Children will attend the Waccamaw Elementary, Middle, and High Schools. Litchfield by the Sea is one of the most private, even secret sections of the Grand Strand. Some homes here are owned by celebrities and famous people who value the tight security and low traffic inside the resort. The homes are some of the most expensive to be found and possibly tightly restricted. Prices start at a million or more, and can go up about five million if large enough. The average home is 4-5 bedrooms, but there are some that are 7-8 bedrooms or even more. When you buy a home in Litchfield By the Sea, you are paying for the security and exclusivity of the compound. If you are one of the rare breed who are looking for the finest and most private home in the state, look no further than the homes at Charlestowne Grant. Call us for a private showing of the available homes.